Welcome to PJ Library’s “Havdalah Hub,” where you will find everything you need to make your own Havdalah. Each Friday evening families around the world bring in Shabbat with favorite foods, company for dinner, and blessings over candles, wine or grape juice, and challah. Havdalah, or “separation” in Hebrew, is Shabbat’s closing ritual, when three stars appear on Saturday evening. In a simple multi-sensory ceremony, with blessings over lights, wine or grape juice, and spices, Havdalah is an inspiring way to end Shabbat and start the new week as a family. However your family chooses to make Shabbat special, Havdalah marks a transition back into “everyday time.” Havdalah is the shuttle flight, sweet-and-a-little-sad, that lets you down on the other side. Per ritual minute, Havdalah is probably the most beautiful--and most distilled--of all Jewish traditions. No meal, no prayer service. A few minutes of spirit served straight up. 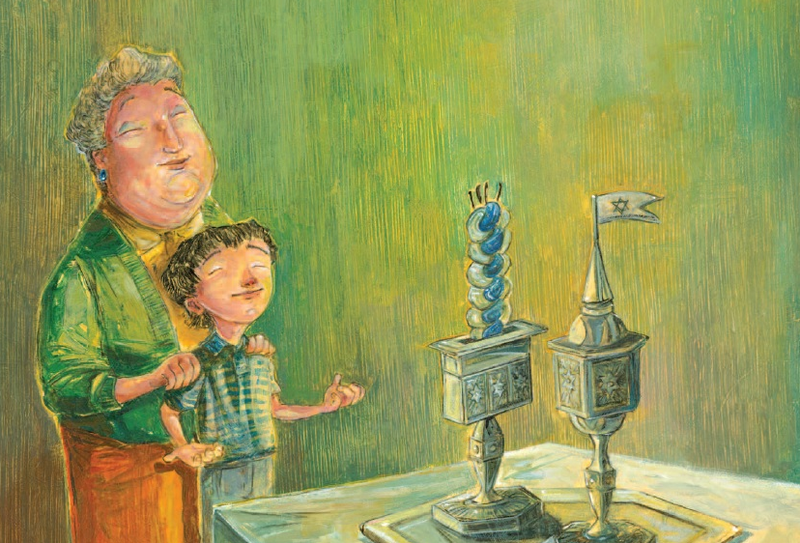 For young kids Havdalah is a memorable send-off to bed, with flames and spices still dancing in their heads. But for parents it’s something else: a lovely mini-ritual that often gives a quick injection of energy with which to start the week. With light, fragrance, a sweet sip, and a shout-out to Elijah the Prophet, the upshot of Havdalah is that we begin a new week believing in the best possible future – a good way to start the week. 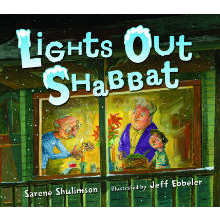 For an overview try “Havdalah: Taking Leave of Shabbat” by Rabbi Susan Silverman, author of Casting Lots, a 2017 PJ Library Parent Book Choice selection. Each person has a “job”--one holds the lit candle, one holds the spices, and another holds the cup of grape juice or wine. Here are Havdalah Sing-Along Videos. You can learn the blessings over wine, spices, fire, and a final blessing, and end Havdalah with the song “Eliyahu Hanavi” (Elijah the Prophet). Elijah is the symbol of human redemption, and reminds us of the world we strive for each new week – a world of peace, compassion, and justice. The first video (with BBYO) includes the short version of the final blessing, plus guitar chords! The second video (with Moishe House and Bimbam) includes the long version of the final blessing. The third video is the song Eliyahu Hanavi. 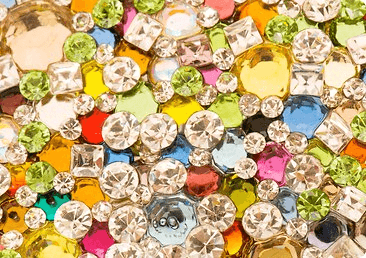 Celebrate the beauty of Shabbat with this Bejeweled Kiddush Cup craft from Kveller! All you’ll need are a couple of plastic wine glasses, some glue, and a few plastic gems--all of which can be found at a local craft supply or dollar store. When they’re done, kids will have their own specially-designed cups to hold grape juice during the Havdalah ceremony. The extinguishing of a braided candle is what brings Shabbat to a close. 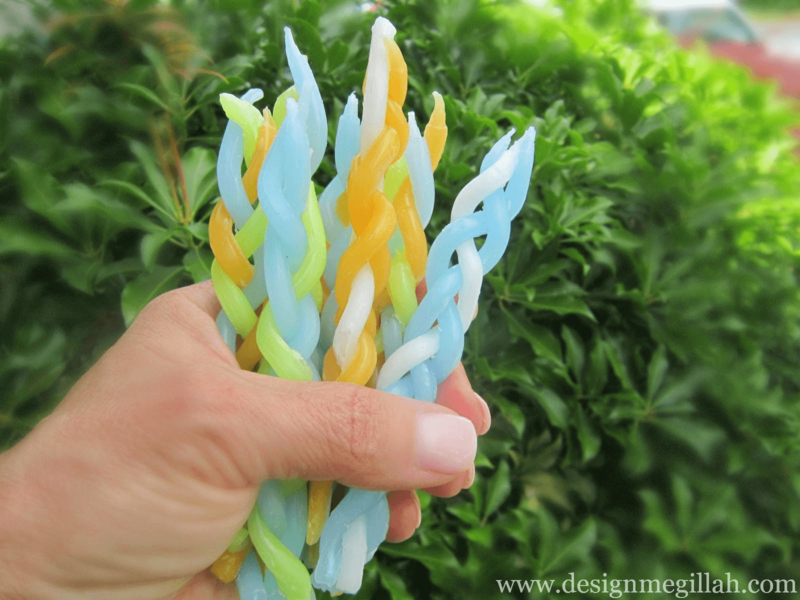 With this tutorial by Design Megillah, your family can add a personal touch to the candle by braiding it yourself! The directions involve minimal mess, unlike a lot of other candle-making guides. Nothing personalizes the Havdalah ceremony like growing the spices yourselves! Gardening and planting will bring the family closer the together while teaching your kids to appreciate nature. 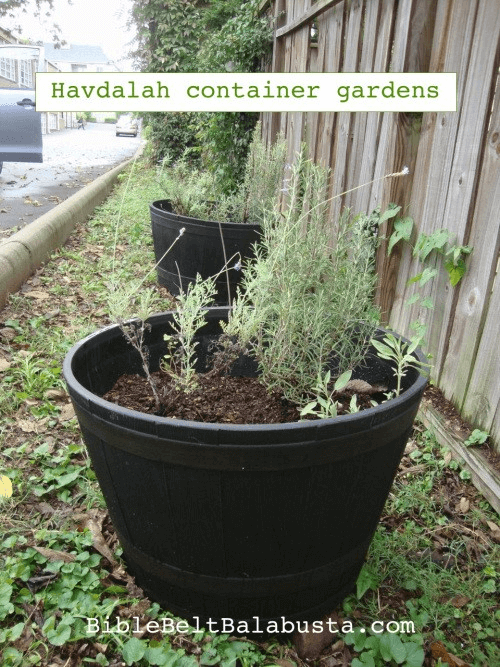 You can create your spice garden in a large tub, like in these instructions from Bible Belt Balabusta. If the tub idea isn’t for you, you can also grow spices like coriander, saffron, and paprika indoors with this guide from Natural Living Ideas. 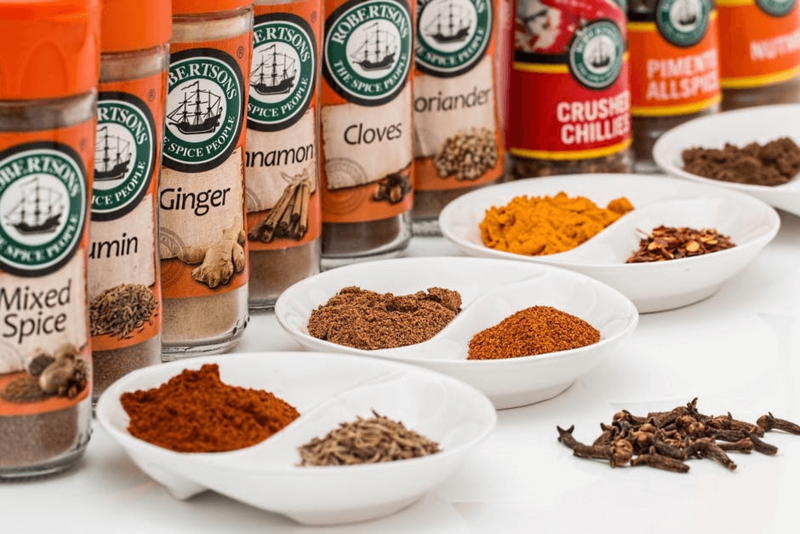 A great game to play with family and friends is “Guess the Spice.” All you’ll need are some spices from your pantry. Begin by having someone close their eyes (or blindfold them for extra security). 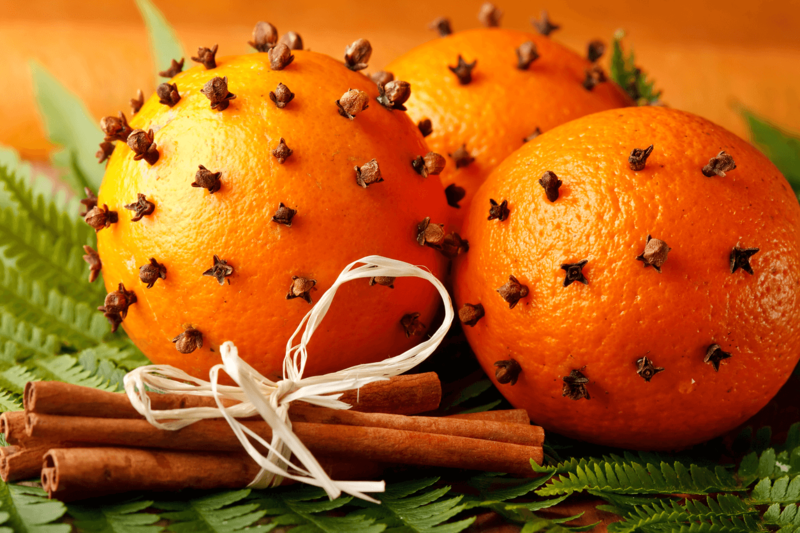 Then, pick a spice at random and instruct them to sniff it. See if they can identify which spice is under their nose! 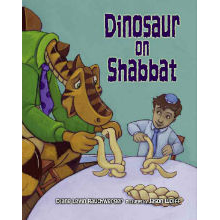 This special play dough introduces children to the spices used in the Havdalah ceremony. 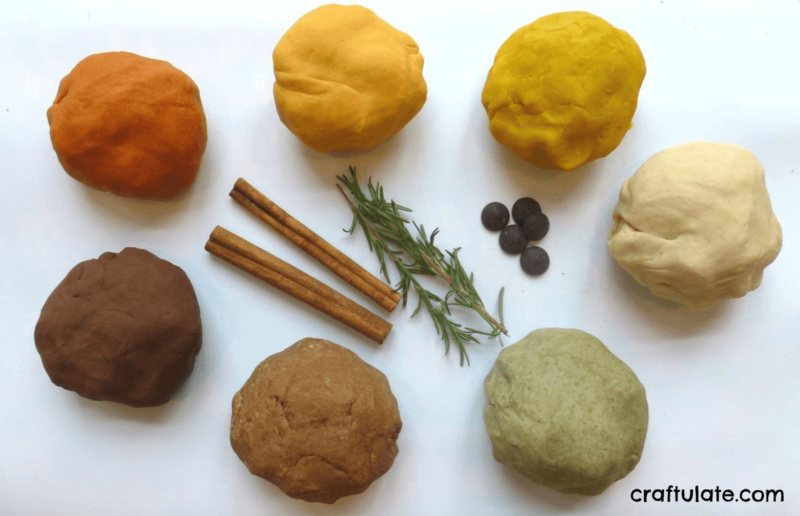 The strong scents of those spices--combined with the squishy, malleable quality of play dough – makes playing with this dough a great creative and sensory activity! You can get it ready beforehand, or get your kids involved in making it. Everyone stretches their hands to the middle, and finds two hands to hold onto – but not of the person standing next to them. Start Havdalah with a set of traditional verses - “Hinei El Yeshuati” (God Is My Redeemer). Here is the complete text and a video by Kippalive (with some musical surprises). Parents dip their pinkie in the wine or grape juice and touch their child’s forehead --an act of liquid love to start the new week. Here’s a traditional Sephardi melody for Havdalah – “Lichvod Hemdat Levavi” (For My Heart’s Delight), performed by the group Pharaoh’s Daughter. A young boy visiting his grandparents for Shabbat has a wonderful time despite (or maybe, in part, because of) a rare Georgia snowstorm that causes the power to go out. 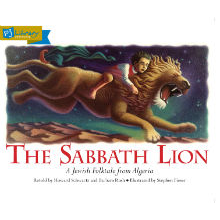 In this Algerian folktale, Yosef is determined to keep the Sabbath--even though he is in the middle of a dangerous desert journey. But he knows he’ll be all right because he is getting help from a powerful friend. 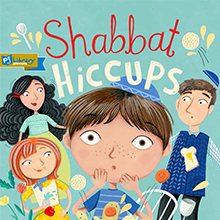 Jonah got the hiccups--and it’s Shabbat! How can he get his hiccups to quiet down? Everyone has a remedy. Download the PJ Library Radio app for more music and playlists.